Stamping is indeed good, and you do it so very, very well! Love the colors! Joan, this is lovely! Great idea about layering a panel. I'll have to remember that one. What a lovely card, Joan! I just happened to find you again, and went back to read ALL of your posts. I'm so glad you're back! OHHHH!! GF, you need to stop with the embossing! You're killing me with all it's loveliness! Joan, what a beautiful and elegant card. I love that pink with the gold. Love this card. You're smart to be "ready" for this holiday...often the most stressful one. Susan at Simplicity had a thoughtful post about just this and I am taking it to heart. Great card. 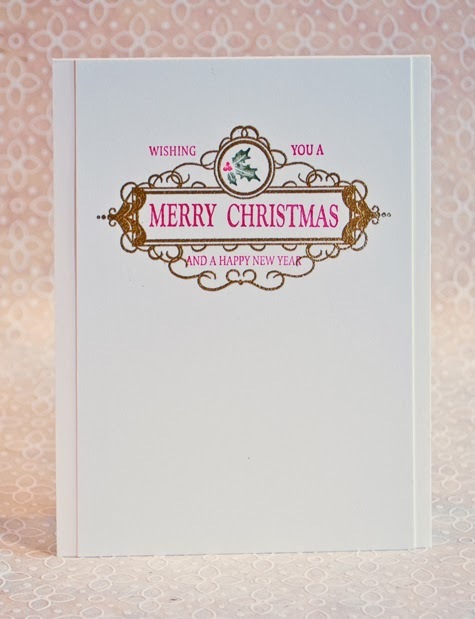 I love the simplicity of the layer with intricacy of the embossing.